The Body You Deserve has a rating of 4.6 stars based on 44 reviews. The Body You Deserve is a 10-day weight loss program that attacks unhealthy eating habits where they start – your mind. 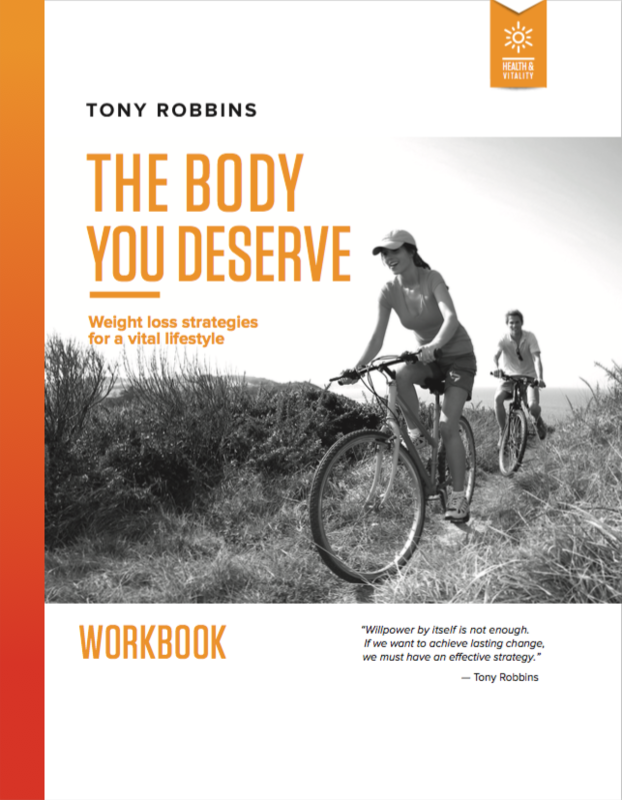 These are the strategies that Tony himself used to achieve and maintain his own ideal body weight, and he has created this step-by-step system so that you, too, can overcome your unhealthy relationship with food. 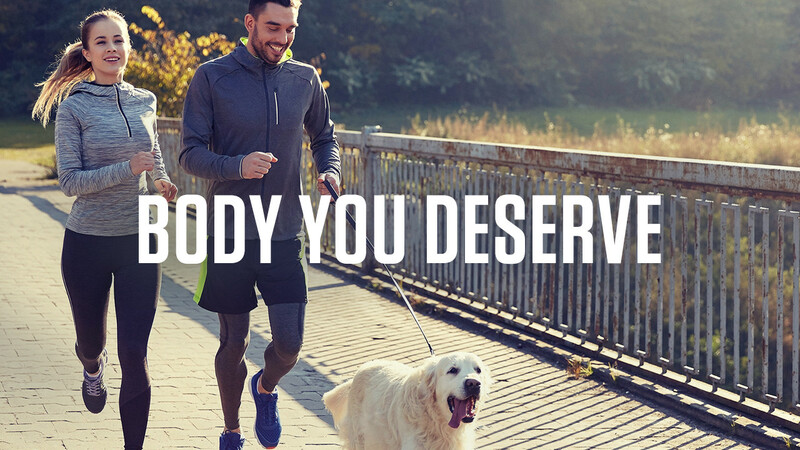 This program isn’t about a strict diet or quick fix, it’s about reconditioning your mindset to get sustainable results and achieve long-lasting health and vitality. "Willpower by itself is not enough, if we want to achieve lasting change, we must have an effective strategy." Digital inspirational message cards, to help you on every step towards your outcome. Personal digital eating diary and exercise log. Do you constantly struggle to lose a few pounds, only to gain them back immediately? Frustrated with his own battles with gaining weight, emotional eating and overeating, Tony Robbins truly believed his situation was permanent — that he would never be able to lose the extra fat. He knew he had to change the way food made him feel — to mentally condition himself so his relationship with food would be beneficial. With the strategies that you too will learn in this program, Tony lost 30 pounds in 38 days and gained a new mindset that keeps him motivated today. In this program, Tony Robbins and Dr. Nate Booth guide you through a 10-day process to help you train your body to burn fat. Learn how extreme, low-calorie diets cause your body to store fat and gain more weight. Even if you’ve spent years struggling to create healthy patterns for yourself, Tony and Nate will teach you step-by-step what it takes to make healthy choices on a daily basis once and for all. After 10 days, you will begin to see and feel a remarkable difference in your physical and mental well-being as your body sheds off those unwanted pounds. Achieve the health and fitness results you’ve always wanted with this risk-free opportunity today! An introduction to the psychology behind why you turn to food (even at the times you shouldn’t) and a review of the 6 master steps of change. Learn the steps to identify harmful beliefs and replace them with empowering ones. Change starts by gaining enough leverage to ensure you follow through. Link consequences to your past behaviors, current behaviors and see how they will impact your future behavior. Discover Tony’s 10 Fundamentals of Living Health and how you can immediately apply them to create more vitality and energy in your life. You can be fit without being healthy, and you can be healthy without being fit. Learn the exercise that will make (and keep) you healthy and fit. Before you can create new patterns, you have to break the old ones. Identify which habits are triggering you to eat, gain awareness of your patterns and discover how you can break the ones that are not serving you. Destroy your cravings for unhealthy food with the Compulsion Blowout technique and move yourself to action with Tony’s strategies for transformational vocabulary. Increase your desire for foods that result in a strength and vitality and master your ability to take away any urge that will sabotage your health. Learn the four stages of becoming a peak performer and how to transform what Tony calls “fat transplant thoughts” into goal-directed thoughts. Using everything you’ve learned, realign your rules and beliefs around your eating habits to ensure a lifestyle change that will bring you lasting health and vitality. After listening to the Body You Deserve series and completing the 10 day challenge, I feel a tremendous difference in my energy and overall health. The series gave me the unique tools I needed to achieve lasting weight loss success. Health is now my foundation due to the dynamic successes that Tony teaches in this remarkable program. Thanks for showing me how to take my life to a whole new level! Don’t have a CD player? Want flexibility and access to the program, at all times? 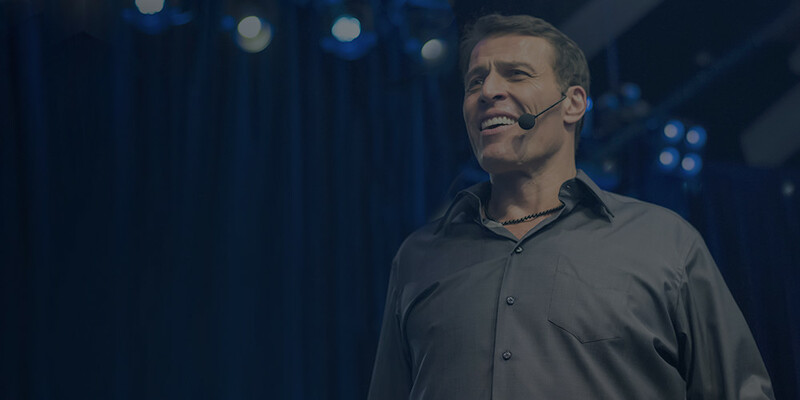 With The Body You Deserve on the Breakthrough app, you will be able to access all 9+ hours of Tony Robbins audio content, on the go, through a mobile application. Fumbling with your mobile apps? Do you prefer listening to CDs? If yes, this is the version for YOU! Imagine inserting The Body You Deserve CD, pressing play and learning how you can achieve a healthy body weight and how to maintain a healthy body so you can start to truly live the rest of your life! Moreover, the audio quality is great. After purchasing The Body You Deserve, you will receive an email with your access information. In the email, you will receive a link to download the mobile application, Breakthrough. The app is available in the Apple App Store and Google Play Store. In addition, you’ll receive access to all the resources for the program, within the welcome email. Already have the app? No problem, simply refresh your product list or sign-out and log back in to gain access to your newly purchased product! The Body You Deserve will arrive in a box that contains, your CD and DVD program, bonus content and personal journal.